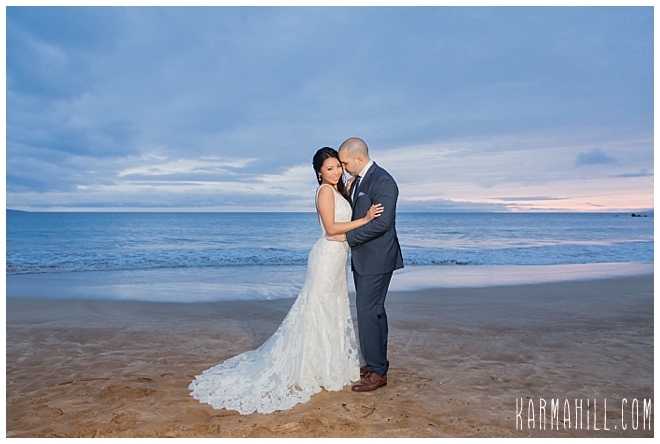 On a day filled with rain, a moment of clarity came in the knick of time. 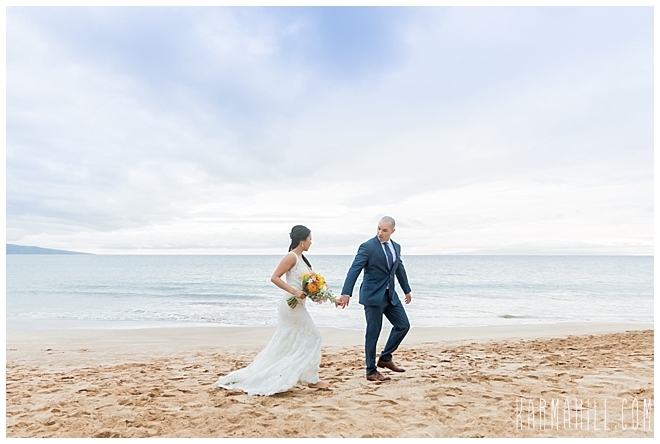 With the precipitation ebbing, Linda and Benoit enjoyed an incredible moment on the cool sand of Southside Beach. 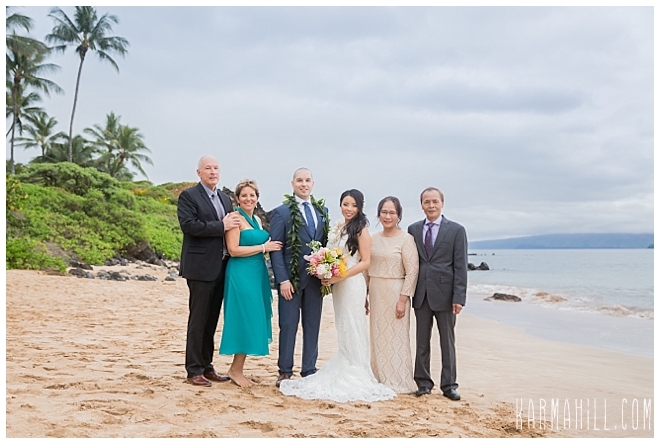 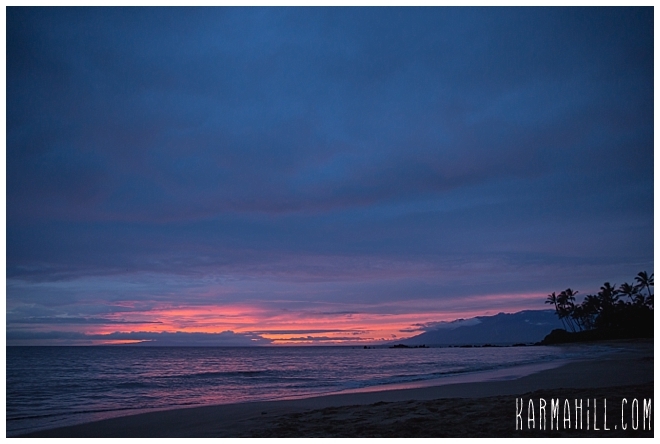 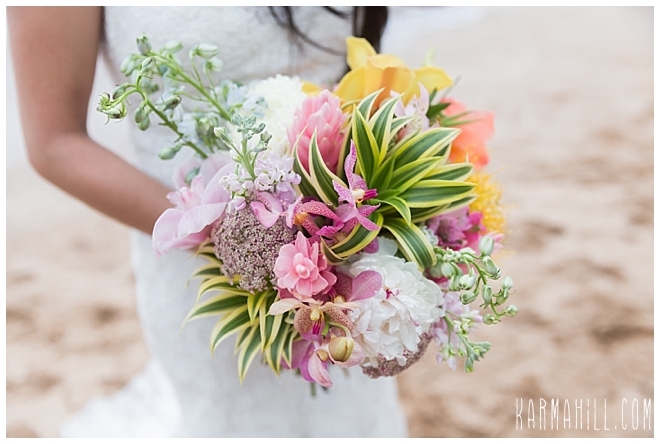 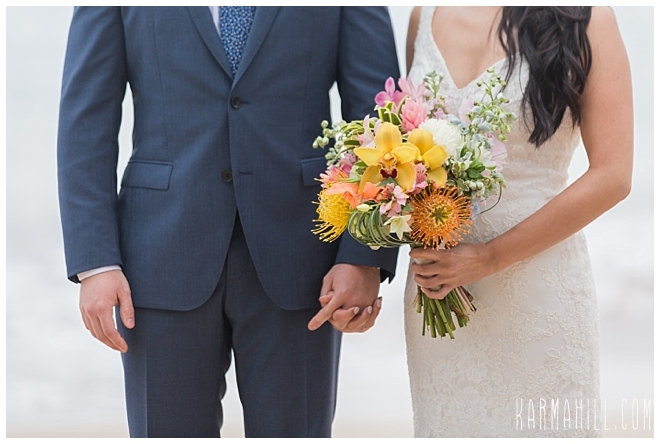 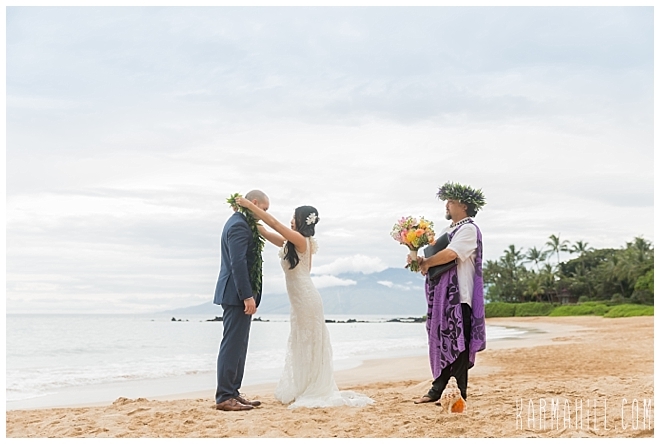 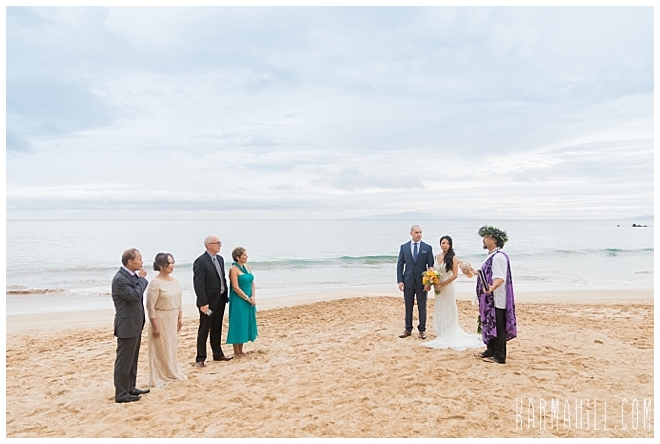 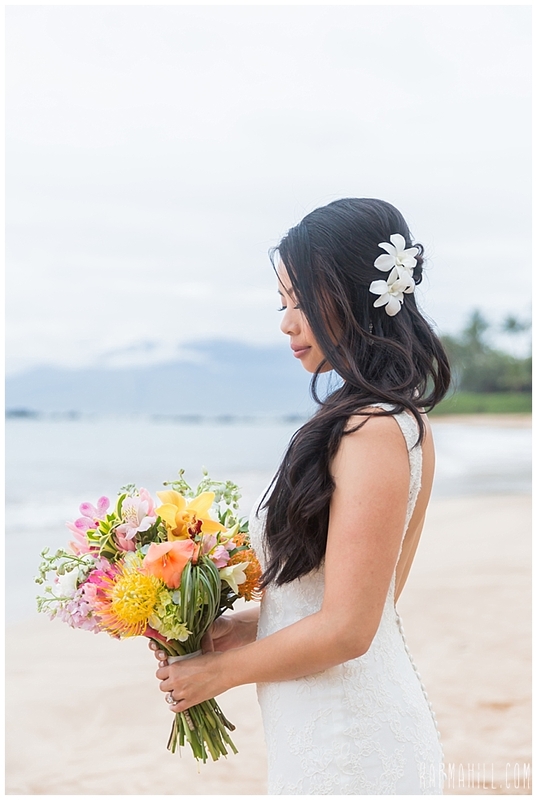 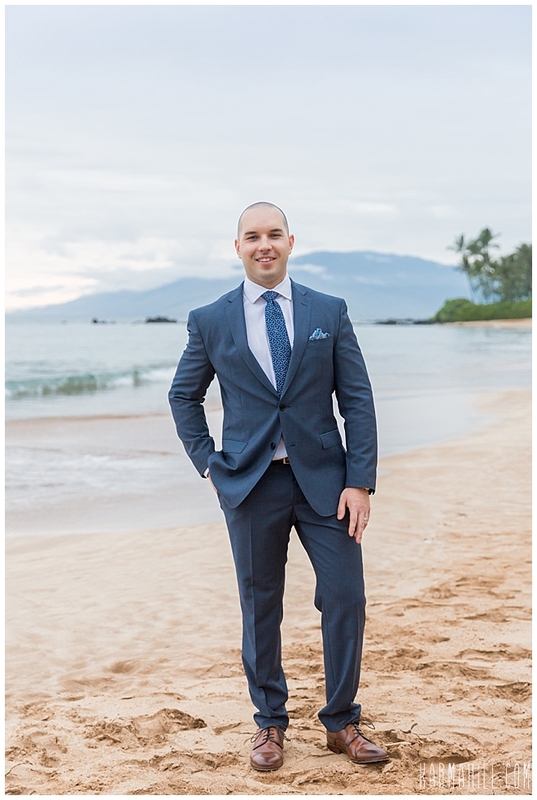 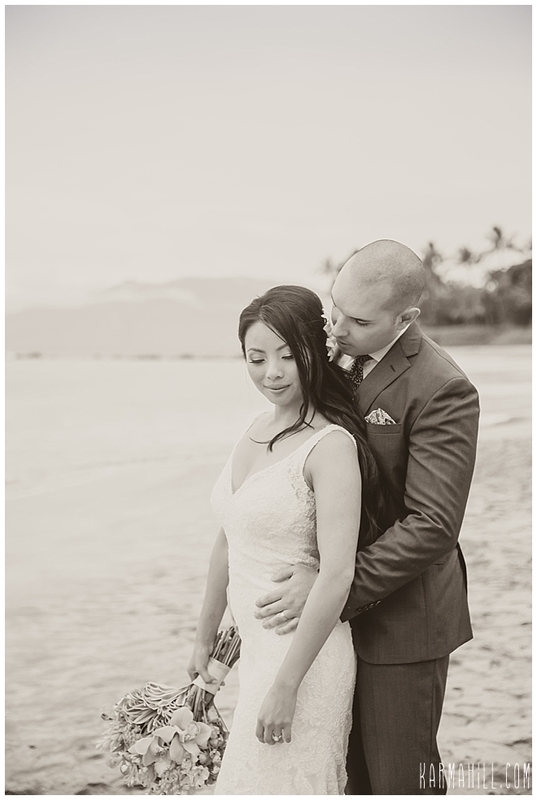 Flanked by their parents, they proceeded with the Maui Beach Wedding that would find them declared husband and wife. 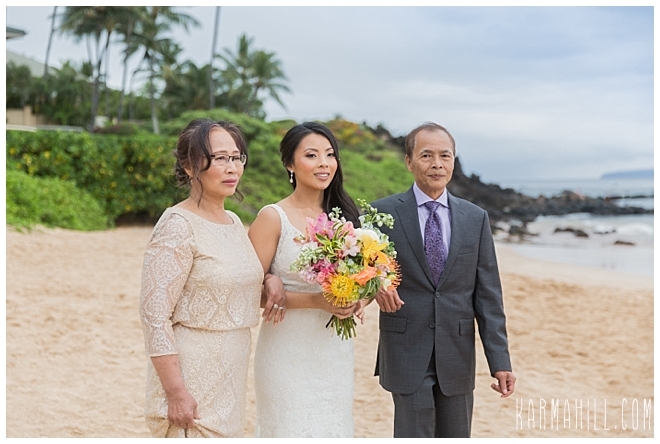 Under Rev. 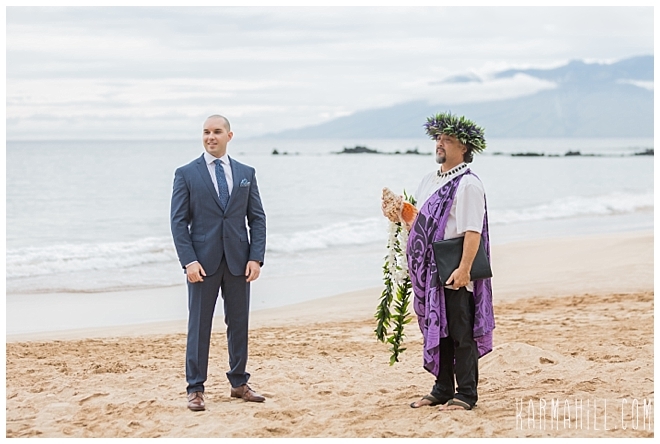 Kimo's guidance, they exchanged vows and made the promises that will carry them through the years to come. 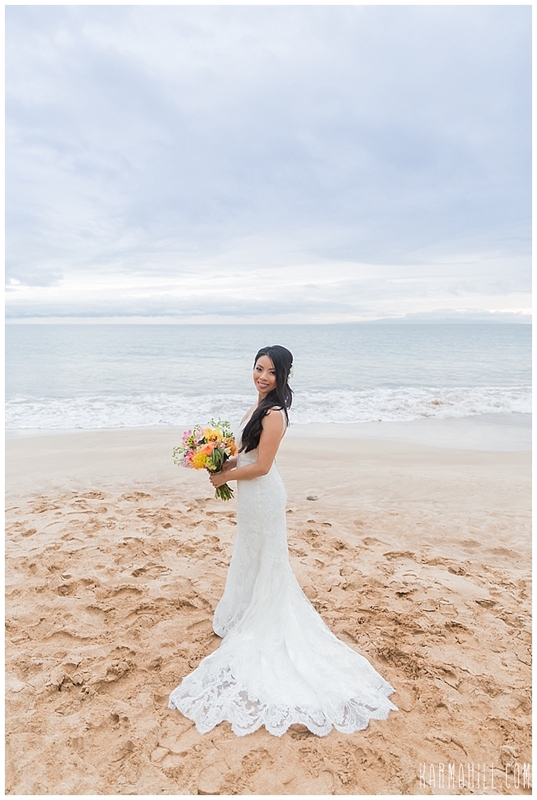 With a brilliant pink flourish as the sun called it a day, the setting turned out to be dreamy and romantic, a fabulous treat on an overcast day. 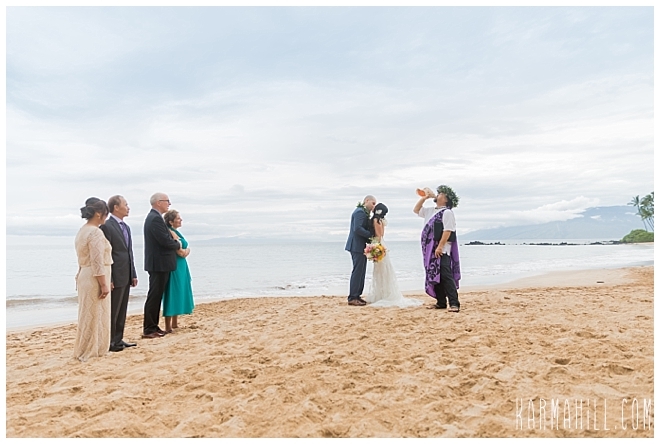 We were so excited to spend time with this cool Canadian couple as they couldn't have been any cuter together. 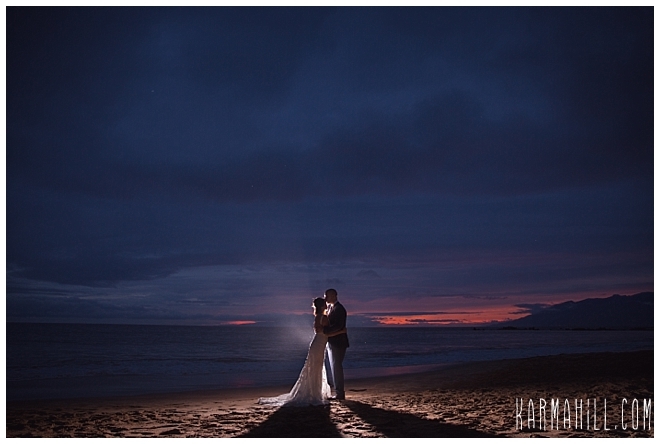 Thank you, Linda and Benoit, for letting our team capture this magic filled moment. 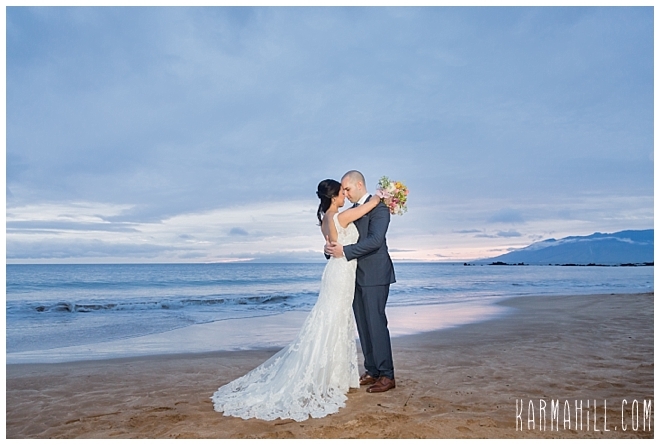 Best wishes for a happy life together and don't forget to visit us again one day! 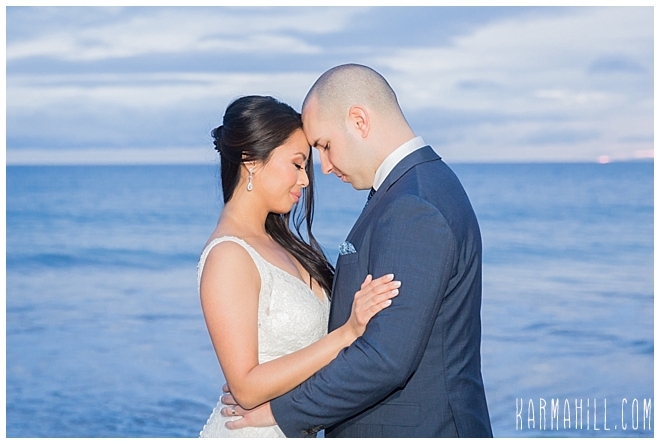 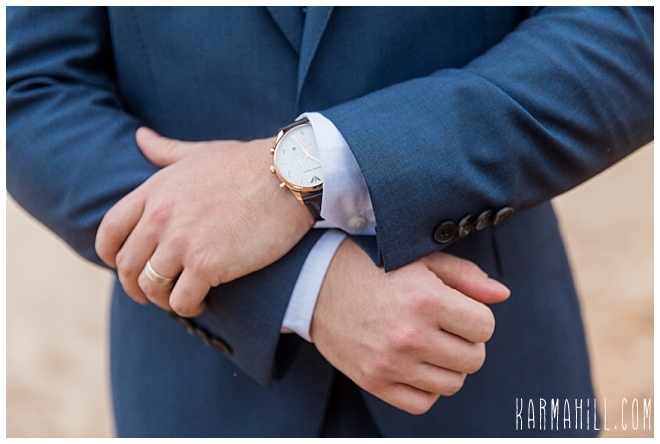 Check out our last wedding with Christine & John!